Ribbon menu for interface control, 64-bit version, qGSD, three new plugins: IUPAC Name, Structure Elucidation, Binding and many more! What's new? A shared interface with automation abilities that allows users to optimize their learning curve and workflows by combining different technique data on the same application. NMR processing, analysis, simulation and reporting. Prediction of NMR spectra from molecular structure. Extraction of spectroscopic and chemical kinetic concentration data. The Mnova installer works as a container for all our specific plugins. This shared interface and its automation abilities allow you to optimize the learning curve and workflows by combining analytical data from different techniques in the same application. Suits users who want to process and visualise their data in a single software tool, whether this is NMR, MS and NMRPredict Desktop . Designed for synthetic chemists with tools to confirm your structure and get purity or concentration for your compounds of interest automatically. Includes all the functionality developed by Mestrelab within the Mnova environment, as well as access to future Mnova plugins which we release even after you get your license. Mbook is the new ELN web application which can benefit from the power of Mnova software. The easiest way to digitally record and report your chemistry. Mnova Tablet NMR has been designed to increase your NMR data analysis productivity and flexibility anywhere. It is the perfect companion for your Mnova desktop version. Mspin is a tool for the computation of NMR related molecular properties starting from 3D molecular structure. Mspin can compute Scalar Coupling Constants, NOE’s enhancements and Residual Dipolar Coupling. Facilitated extraction of sprectroscopic and chemical kinetic concentration data. An open architecture to analyze simple mixtures by NMR. Explanatory, scientifically sound, statistically validated, quantitative structure-property prediction at your fingertips. Computer-Assisted Structure Elucidation system: from NMR data to structure through a simple workflow. Processes 2D HSQC type of protein-ligand titration spectra, tracks peak movement and computes Kd‘s for multiple peaks. Close to 2.000 institutions, companies and government agencies have placed their trust in Mestrelab and its products and become our customers. Bruker Corporation and Mestrelab Research S.L. today announced that they have entered into a strategic partnership to advance chemistry software that handles spectroscopic data and extracts and manages chemical information from a variety of analytical techniques, including for example NMR and mass spectrometry. 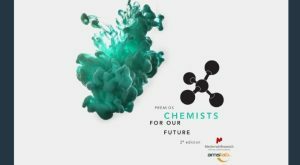 Richard O'reillyBiochemical Scientist - Debronch Inc.